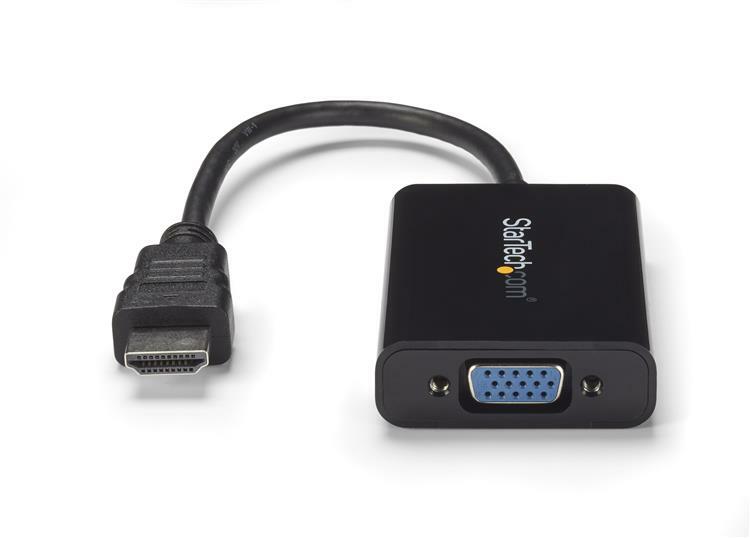 The HD2VGAA2 HDMI® to VGA Adapter Cable enables you to connect an HDMI output device, such as a laptop video output or digital media extender to a VGA display device (monitor, projector) by converting the HDMI video signal from the output device into a VGA output and separate 2-channel analog audio. 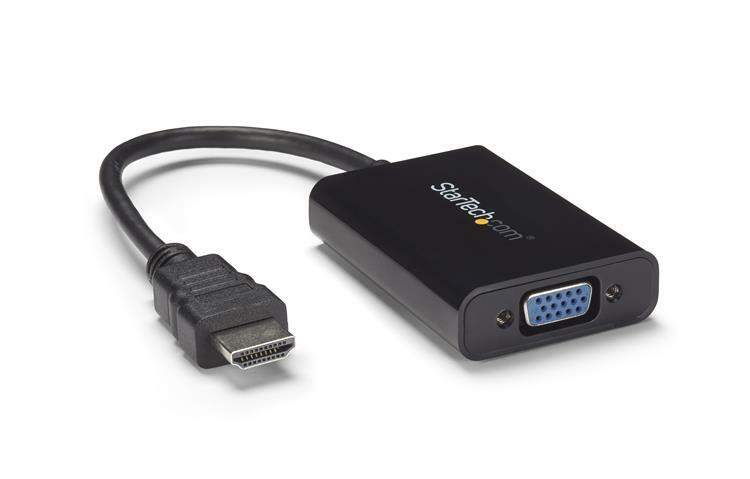 The HDMI to VGA adapter is intended for displaying user generated content such as presentations, documents, and work sheets onto a VGA projector or monitor. The adapter can also extend your computer's desktop to double your workspace and increase productivity. 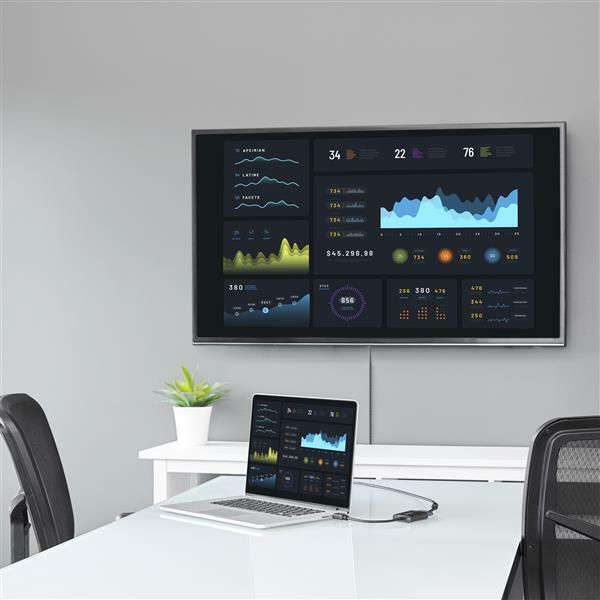 The versatile converter supports resolutions including high definition 1080p, which eliminates the expense of upgrading a VGA display for the sake of compatibility, and doesn't require a separate power adapter which saves installation time and hassle. Backed by 3-year warranty and free lifetime technical support. 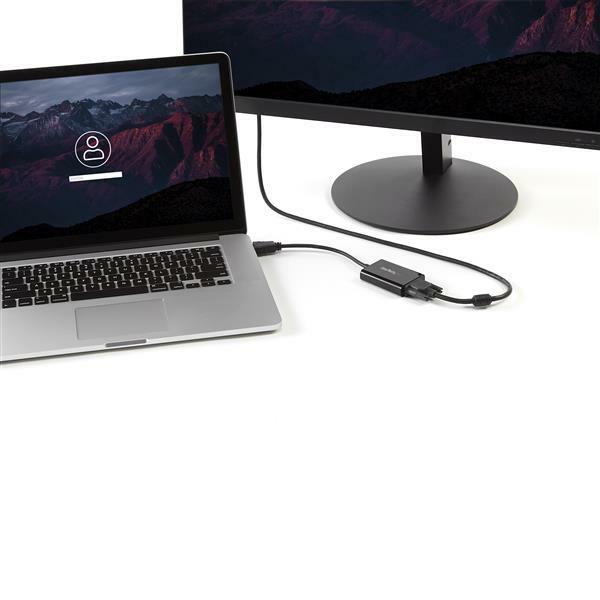 Easily make your new HDMI® equipment (Desktop, Laptop, or Ultrabook) compatible with a VGA display (Television, Monitor, Projector).